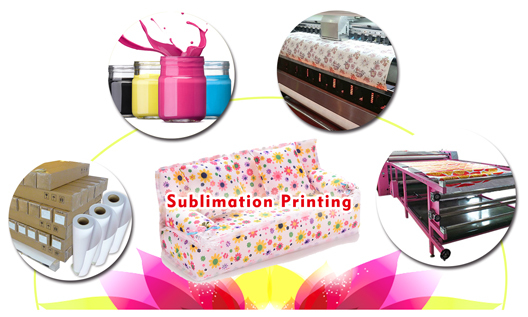 Three Tricks for You to Choose a Suitable Sublimation Textile Printing Machine! Among textiles and apparel fabrics, the textile digital printing process has been favored both inside and outside the industry due to its advantages such as high printing accuracy, no need for plate making, flexible volume, environmental protection, and small footprint. The selection of the printing process directly determines the type of digital printing machine. 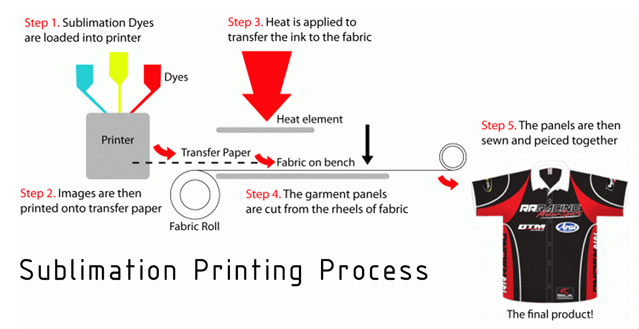 For the printing of apparel fabrics, it is the choice of the transfer process or the direct-injection process, which determines the direction of the digital printing machine. The investment in the transfer process is relatively small and the accuracy of the printing is high. But the applicable fabric is limited, and it is mainly applicable to chemical fiber fabrics. The direct injection process generally requires sizing, steaming, and water rinsing of fabrics. And the relative investment is relatively large, but the fabrics have a wide range of applications and can be applied to polyester, nylon, cotton, hemp, silk, wool, modal, and other fabric types. Enterprises can choose the equipment that can meet the customer’s printing accuracy according to the different fabrics and the needs of customers. In general, delicate and smooth fabrics require higher precision, such as silk and chiffon, while fabrics with coarser fibers have lower requirements for precision, such as canvas and sweaters. When choosing the printing accuracy, it should be noted that the higher the precision is the better. Because accuracy and efficiency are two factors that are antagonistic. If the accuracy requirements are higher, the efficiency is lower. First, the cost factor. Due to the tax and shipping factors related to imported equipment, the price of imported digital printing machines is higher than that of similar domestic digital printing machines. Second, the key technology. As the key component of the digital printing machine, the nozzles, are basically imported, mainly Japanese-made nozzles. Therefore, whether it is a domestic digital printing machine or imported digital printing machine, the key equipment used is basically the same. Third, after-sale service. Whether it is domestic equipment or imported equipment, good after-sales service is one of the important factors for choosing a digital printing machine. Dealing with problems, eliminating the timeliness and effectiveness of failures directly determine the efficiency and cost of production. Okay, these all above are my share about the tips of choosing a high quality textile digital printing machine. If you have any other needs or questions welcome to contact us at any time. We will provide you the best quality product and service. Hope my article can be useful to you. Thank you for your reading. Several Tricks for You to Use Roll Type Sublimation Calender Machine! Nowadays in the sublimation printing industry, science and technology are getting more and more new. Everyone’s ability to innovate is also constantly increasing. 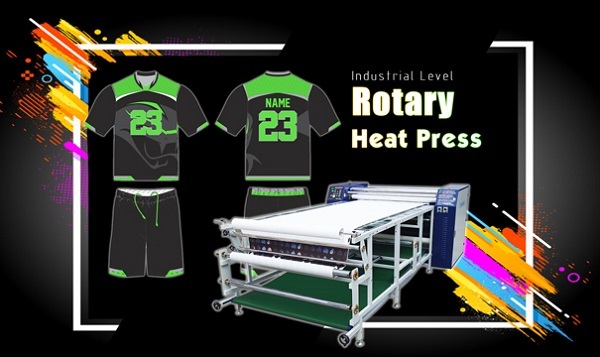 The emergence of more printing machine equipment perfectly meets the hot demand of the current market, and the Roll Type Sublimation Calender Machine is one of these. Printing equipment. First, open the switch, press the main power button, the power indicator light, turn on the heating switch, the temperature controller green light, the machine began to warm. 2. Put the dial coder below the temperature controller at 250°C, and the small green light will start to automatically control the temperature. 3. When the temperature display reaches about 250°C, the red light indicates that the operating temperature has been reached and the transfer can be performed. 4. Turn on the motor switch and turn it forward to turn the speed control knob slowly from left to right to the proper speed. 5. If the temperature is too low during the transfer, set the temperature to a higher level and vice versa. Fourth, power off treatment: In order to ensure the transfer of finished products, please turn the motor belt pulley after power off, this time can still be transferred, the effect is the same (pay attention to the same speed). 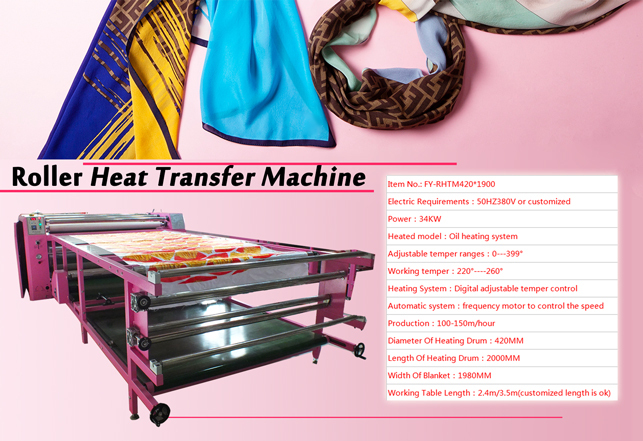 Fifth, in order to ensure the service life of the transfer blanket, after each transfer is completed, the dial driver is adjusted to below 95°C, and the machine continues to rotate until the display temperature drops below 100°C. Okay, these all above are my share about the tricks of using Roll Type Heat Transfer Machine. If you have any other needs or questions welcome to contact us at any time. We will provide you the best quality product and service. Hope my article can be useful to you. Thank you for your reading.